Fresh live 1 1/4 lb. ;2 lb. or custom order 3 lb. lobsters. Fresh Scallops. Fresh jumbo lump crab cakes. Frozen 11-12 oz. lobster tail. Frozen cooked, peeled, deveined Shrimp. Maine clam cakes. New England Clam Chowder. Maine Lobster bisque. Wild Maine 1 or 5 lb. blueberries. Contact Ed Watson at (570) 971-7545 or edwatsonLHV@ gmail.com for prices and ordering. 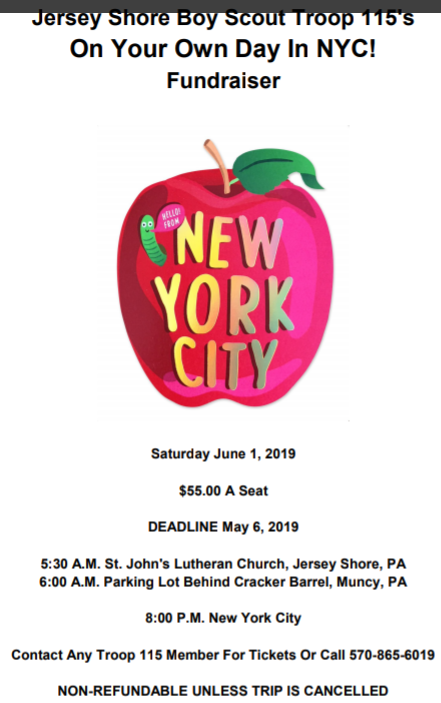 Deadline is April 17 with pick up on April 19 at the airport between 3-5 pm. 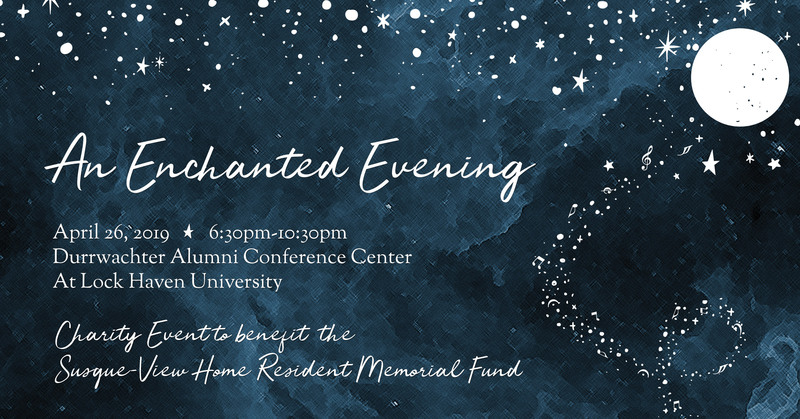 6:30PM 10:30PM Annual Spring Gala: "An Enchanged Evening"
Susque-View Home's Annual Spring Gala, AN ENCHANTED EVENING, will be held Friday, April 26th beginning at 6:30 p.m. with a social hour followed by both live and DJ entertainment, dinner and dancing. We are seeking sponsorships for this event through April 11th and accepting donations for the Raffle being held during the evening along with a Live Auction. Tickets are on sale now in the Business Office at Susque-View until the day of the event. $35/single and $60/couple. All proceeds benefit our Resident Memorial Fund.